Homogenization, also known as particle size reduction or micronization, is used across many industries – including pharmaceutical, chemical, food, and cosmetic -- to create stable emulsions and dispersions. While there are a number of machines that can perform the task of homogenization, it is important to choose the right homogenizer to ensure the best result with the highest level of quality. Continue reading to learn more about some important things you should look for when choosing a homogenizer for chemical applications. Dispersions, also known as suspensions, consist of solid particles distributed throughout a continuous medium. Examples of dispersions include polymers, petroleum additives, paints, and acrylics. It is important to create high quality dispersions in the production of these items to ensure maximum particle packing, increased conductivity, and improved overall surface quality. High quality dispersions results in a higher quality end product, which almost always translates to a better bottom line. When choosing a homogenizer, it is important to choose a high pressure homogenizer that can efficiently and readily decrease particle sizes. This process, also known as micronization, results in smaller particle sizes, which help facilitate easier dissolution, increased product stability, and higher overall quality. This results in increased customer satisfaction as well as reduced costs of production. Homogenization, more simply known as particle size reduction, is a technique that is gaining popularity in a number of industries: cosmetic, pharmaceutical, and food are just a few of the industries that are utilizing technique. But did you know that the chemical industry also utilizes the process of homogenization? It’s true – homogenizers are being used more and more in this growing field. However, before you choose your next homogenizer for the chemical industry, it is important to know what to look for in a homogenizer. Continue reading to learn more about how homogenizers are used in the chemical field, as well as what features you should be looking for before choosing your next piece of homogenizing equipment. When looking for your next homogenizer, it is important that it has the all-important capability to reduce size of even the most challenging of materials. A quality homogenizer will be able to handle both new and unusual particle morphologies while preserving existing morphologies, and will be able to handle one-step blending and formulation. In addition to being able to effectively reduce particle size, a high quality homogenizer will be able to create dispersions and emulsions with ease. A good homogenizer should be able to create dispersions and emulsions that allow for maximum particle packing, better particle coating during formulations, smoother surface quality, and increased conductivity. We also offer a 1 year manufacturer’s warranty, and availability to train new operators of our systems. Regardless of the setting or atmosphere, our homogenizers are sure to work for your application – whether it is in a smaller lab setting or a larger industrial zone. For more information on the homogenizers that we have to offer, please contact us today. We look forward to working with you on your next big project. Homogenization is defined as the reduction of particle sizes. This process can be accomplished several different ways, through mechanical, manual, or chemical means. And while high pressure homogenization is quickly gaining popularity in the fields of biotech, pharmaceutical, cosmetic, and food, it is in the chemical field that the use of high pressure homogenizers is quickly gaining ground over other techniques of particle size reduction. The use of chemical processing equipment, such as high pressure homogenizers, allows manufacturers in the chemical industry to improve a wide range of materials by creating more diverse reactions. But what other benefits and features do high pressure homogenizers bring to the table? 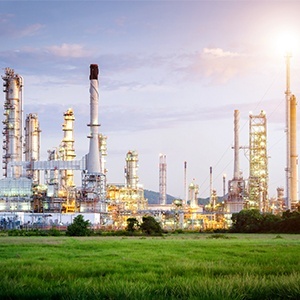 Continue reading to learn more about the unique benefits and features that BEE International’s line of homogenizers bring to the ever-growing chemical industry. BEE International offers a number of high pressure homogenizers that are suitable for virtually any application in the chemical industry. Our Nano DeBEE, Micro DeBEE, and Mini DeBEE homogenizers are excellent for a laboratory or research and development setting, while the larger DeBEE 2000, DeBee 3000, and DeBEE 4000 work well in pilot plant and industrial settings. No matter which homogenizer you choose, you can rest assured that the unique processing setups offered with our technology can address any number of processing challenges. In addition to having the ability to create consistent emulsions and dispersions, the technology utilized in our homogenizers allows for even the most challenging of processes to be readily handled. Our dual feed allows for the addition of abrasive and viscous materials, while our dual jets allow for even the hardest of materials to be reduced in size. Finally, our high viscosity chemical process equipment solutions means that final products can be formulated and dispersed in a single step. To learn more about our high quality, high pressure homogenizing equipment, as well as to receive more information on how our chemical processing equipment can help with the unique needs of your industry, please contact us today. Homogenization, also known as particle size reduction or micronization, is used across many industries – including pharmaceutical, chemical, food, and cosmetic -- to create stable emulsions and dispersions. While there are a number of machines that can perform the task of homogenization, it is important to choose the right homogenizer to ensure the best result with the highest level of quality. Continue reading to learn more about three things you should look for when choosing this important chemical process equipment. Dispersions, also known as suspensions, consist of solid particles distributed throughout a continuous medium. Examples of dispersions include polymers, petroleum additives, paints, and acrylics. It is important to create high quality dispersions in the production of these items to ensure maximum particle packing, increased conductivity, and improved overall surface quality. When choosing a homogenizer, it is important to choose a high pressure homogenizer that can efficiently and readily decrease particle sizes. Smaller particle sizes result in easier dissolution, increased product stability, and higher overall quality. This results in increased customer satisfaction as well as reduced costs of production. There are numerous benefits in the reduction of particle sizes in the manufacturing industry. Smaller particles result in faster reaction times and lower temperatures in the world of chemical processing, which results in increased efficiency and lower overall labor costs. Additionally, since homogenizers use pressure instead of heat to reduce particle size, the stability and shelf life of the resulting product is often increased. Contact us today to learn more about our high pressure homogenizers and how they can help with particle size reduction in your industry. The chemical industry continues to output products that benefit both researchers in other fields and consumers alike. Many of these products, including polymers (e.g. acrylic emulsions, solvent-based emulsions, solutions, and dispersions), pigments, carbon nanotubes, additives and resins, and adhesives and pastes require homogenization as part of their manufacturing process. Yet what exactly does homogenization do that other techniques can’t? Here we present some of the many ways a homogenizer can help your chemical processes. Whether using an existing process or working on a new process, scalability and customizability are incredibly useful homogenizer qualities. To start with scaling, many types of mixing equipment on the market do not have the capability. 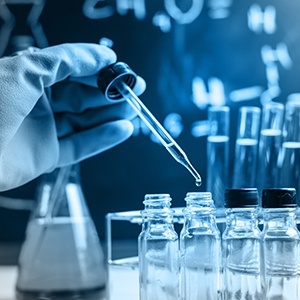 In this case, when a researcher tries to move a chemical process from the laboratory to a manufacturing facility, the process will need to be re-optimized, as it will not typically work as is with the new equipment. Scalable homogenizers, in contrast, make the process easier by allowing the researcher to use the exact same technique that worked in the lab. Additionally, customizing the homogenizer for optimization of diverse processes is as easy as the turn of a dial. One of the biggest benefits of using a homogenizer, aside from its admirable scaling ability, is its role in creating much finer particles. This is useful, particularly with chemical processes, in that finer particles have an increased surface area. With a larger surface areaarger surface area comes better opportunity for a chemical reaction, as there is a higher likelihood of reagent/component bonding. Additionally, said improved chemical reactions, especially in terms of efficiency, can reduce the required quantity of expensive components, and so eliminates the need for volatile organic compounds. The overall ability of a homogenizer to save time and money, along with creating an improved product, makes this equipment much preferred over other mixing options. Are you in need of a high pressure homogenizer for your chemical process? 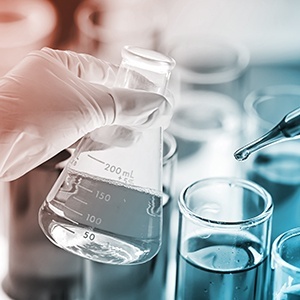 BEE International Technologies is trusted by lab managers and researchers around the world for their homogenizers and chemical process equipment. As such, our chemical process equipment customers are improving a wide range of materials by expanding their capabilities and creating more diverse reactions. For example, BEE chemical equipment brings benefits like size reduction of challenging materials, high aspect ratio, preservation of existing particles, and accelerated chemical processes. Additionally, their modular technology offers unique processing setups such as dual feeds, dual jets, and high viscosity chemical process equipment solutions. Learn more about how BEE International homogenizers can improve your chemical process by contacting us today. Chemical process equipment, specifically homogenizers, can have a significant impact on the quality of product being purchased by consumers. Such products range from adhesives, resins, pigments, polymers, pastes, and more. When working to produce them, it is important to keep in mind factors that will give your product an edge over competition. 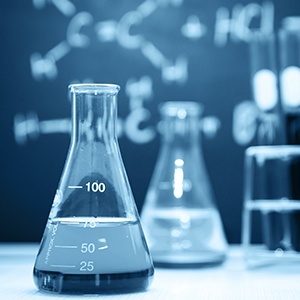 Keep reading for what any scientist should look for in his/her chemical process equipment, specifically homogenizers, and which will indicate its effectiveness. The chemical industry is one of innovation; as such, this work must begin in the laboratory with experimentation and trial-and-error. When a newly-discovered product needs to be scaled to manufacturing, the process can be much easier when scalable equipment is involved. Some companies make their homogenizers scalable, so that one can be used in the small-scale lab setting, yet another machine that can handle large-scale manufacturing doesn’t require a change in process. 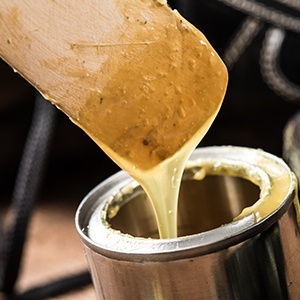 Homogenizers serve numerous functions- blending, synthesis of suspensions, and emulsion production to name a few- yet some are more frequently used in a given industry than others. For example, dispersions are used for a variety of products, including paints, acrylics, polymers, and petroleum additives. The powerful mixing achieved by homogenization allows for maximum particle packing, better particle coating during formulations, increased conductivity, and smoother surface quality. Additionally, the stability achieved during particle size reduction (as described in the above point) prevents the mixture’s phases from separating over time. Are you in need of a high pressure homogenizer for your chemical process? BEE International Technologies is trusted by lab managers and researchers around the world. Our chemical process equipment customers are improving a wide range of materials by expanding their capabilities and creating more diverse reactions. For example, our particle size reduction technology creates more consistent emulsions and dispersions with a tighter distribution of smaller particles. Additionally, our modular technology offers unique processing setups such as dual feeds, dual jets, and high viscosity chemical process equipment solutions. Cell Lysis Method: Chemical or High-Pressure Homogenization? Chemical cell lysis uses detergents to disrupt the hydrophilic and hydrophobic interactions within the cell wall and membrane. The detergent’s chemical composition determines which cell type(s) it can most effectively disrupt, since most cells have unique biochemical properties. In contrast, high pressure homogenization forces the sample through a narrow space while imparting pressure, shear and other mechanical forces onto the sample. As evident from the above overview, chemical lysis and high pressure homogenization are conducted in very different ways. Outside of the basic technique, however, significant differences exist that may impact your decision to use one or the other. Firstly, chemical lysis is only appropriate for small sample sizes, in that it is incredibly costly to use for bigger batches or large-scale production. High pressure homogenization, however, is well-suited to scaling from laboratory testing to commercial production so can be used for a wide range of sample sizes. And secondly, high pressure homogenization is flexible in its ability to be customized for more sensitive samples or alternatively, tough-to-lyse samples. 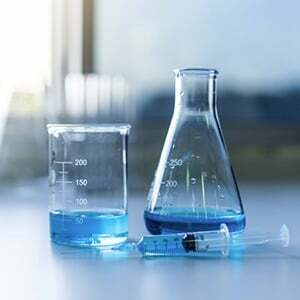 Chemical lysis is a ‘one-size-fits-all’ technique that either works for a sample or doesn’t; customization is not an option once the chemical solution has already been prepared. Although both methods have high product yield, it is important to consider the specific cell type you are working with, along with your laboratory’s budget and long-term goals. Because of its flexibility, however, high-pressure homogenization can be used across cell types and applications, which gives it more bang for its buck. Use of high quality cell lysis equipment will provide numerous benefits for both production laboratories and consumers alike. And there are plenty of companies on the market to select your equipment from. However, the lysate can be of higher quality and more even consistency when run through top-shelf equipment, most frequently in the form of a high pressure homogenizer. 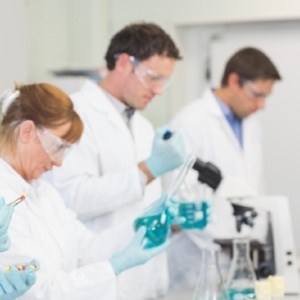 BEE International Technology is trusted by researchers and lab managers around the world. We deliver an array of key benefits, such as production of nano/micro emulsions and dispersions and lipids and suspensions; these can be used for applications such as injectables, targeted drug delivery, inhalants, time release, anesthetics, and importantly, vaccinations. In addition, we have extensive experience in the challenges that our customers face as they transition from concept, through to R&D, clinical trials, all-important FDA approval and finally, to manufacturing. Learn more by visiting our cell lysis applications or download our FREE eBook "7 Key Factors to Consider When Choosing A Cell Lysis Method" to find the best cell lysis method! The chemical industry is a thriving international business, growing from $1800 billion in 2001 to over $3500 billion in 2011. (1) Many of the products and applications that comprise these successes require homogenization. In contrast to heat-based methods, homogenization uses pressure, which does not alter the products as heat would. Below is a compilation of major uses and applications for homogenizers in the chemical industry, and importantly, how homogenization can benefit your specific chemical process. Although homogenization serves numerous functions, some are more frequently used by chemical scientists than those in other industries. Dispersions are created for a variety of products, including paints, acrylics, polymers, and petroleum additives. By manufacturing an ‘ideal’ dispersion, these products see maximum particle packing, better particle coating during formulations, increased conductivity, smoother surface quality, and finer printed features. Chemical products comprised of smaller particles may benefit in a number of ways. Centrally, said products can expect to have increased dissolution rates, which is a critical factor in any successful reaction. Equally as important is product stability, which can be achieved more easily when finer/smaller (vs. coarser/larger) particles are used. Homogenization reduces particle size much more efficiently than other mixing methods. Additionally, because they use pressure to break up particles instead of heat, the quality of resulting products can be optimized. Are you in need of a high pressure homogenizer for your chemical process? BEE International Technologies is trusted by lab managers and researchers around the world. Their chemical process equipment customers are improving a wide range of materials by expanding their capabilities and creating more diverse reactions. For example, their particle size reduction technology creates more consistent emulsions and dispersions with a tighter distribution of smaller particles. Additionally, their modular technology offers unique processing setups such as dual feeds, dual jets, and high viscosity chemical process equipment solutions. Finally, their homogenizers are scalable from the laboratory up to manufacturing, which is ideal for researchers working to develop new products. Particle Size Reduction: Which Of My Chemical Products Will Benefit? Since the 1800s, scientists have been synthesizing chemical products. While their importance in research labs has grown more critical, the process of synthesizing higher quality products is slow. One way to increase quality without also increasing costs is to ask whether you can you reduce their particle size. If so, you may be wondering how this process will actually help the product quality. Keep reading for a list of chemical products that can benefit from particle size reduction, and specifically how they may benefit. Adhesives & Pastes. Electronic and semiconductor applications are common uses for adhesives and pastes, which are superb conductors of both heat and electricity. Pigment & Ink Dispersions. Dispersions are formed by mixing solid particles with fluids to form liquid solutions. Pigments and inks with fine dispersions have better particle packing, which results in a more dense and uniform distribution of materials. Polymers. Examples of polymers are acrylic emulsions, solutions and dispersions, urethane prepolymers, and solvent-based emulsions. Resin Additives. 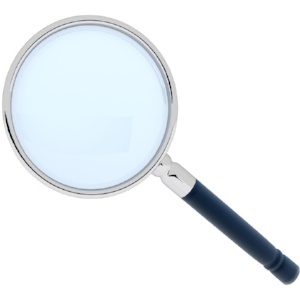 Blocking of film layers is common, particularly among manufacturers of polyolefin films and coatings. Resin additives serve to effectively combat this issue. In addition to unblocking, additives have plenty of other critical functions in the chemical industry. Ideal dispersions and finer particles are significant functions of equipment like a high quality chemical processing homogenizer. By attaining these, you can expect to see maximum particle packing, better particle coating during formulations, increased conductivity, smoother surface quality, and finer printed features. Specific to particle size reduction, a chemical product with decreased particle size will benefit in a variety of ways. Firstly, its smaller particle sizes will confer increased dissolution rates. Secondly, pharmaceutical drugs that incorporate these chemicals will see improved drug delivery, particularly via oral or nasal administration. And finally, chemical reactions that use finer/smaller particles (vs. coarser/larger particles) will have a higher likelihood occurrence; this quality is vital to the stability of most chemical products. Are you in need of a high pressure homogenizer for your chemical process? BEE International Technologies is trusted by lab managers and researchers around the world. Their chemical process equipment customers are improving a wide range of materials by expanding their capabilities and creating more diverse reactions. For example, their particle size reduction technology creates more consistent emulsions and dispersions with a tighter distribution of smaller particles. Additionally, their modular technology offers unique processing setups such as dual feeds, dual jets, and high viscosity chemical process equipment solutions. To learn more about how BEEI homogenizers can improve the quality of your chemical products, check out our chemical processing equipment. Earth’s atmosphere contains more carbon dioxide today than at any point in the last 800,000 years. The Industrial Revolution marked an exponential rise in fossil fuel emissions, which led to a huge increase in human-driven carbon dioxide pollution. (1) To combat this pollution, which is responsible for global warming and environmental contamination, biofuels were developed as a natural alternative to fossil fuels. Yet there exist multiple types of biofuel cells and production methods. Keep reading to gain further understanding of the benefits of microalgae-based biofuel, and why cell disruption techniques are required for its production. Biofuel is classically defined as that which is derived directly or indirectly from organic matter; whether plant-based or animal-based, the broken down products contain energy that is still usable. Because of its natural base, particularly compared with fossil fuels, biofuel is much more environmentally friendly. Its usage has grown to meet an impressive 10% of global energy demand. 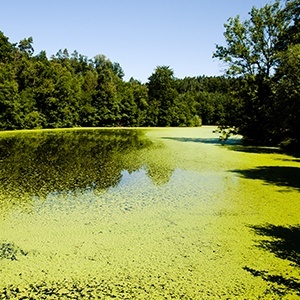 Although plenty of organic materials can be converted into biofuel, microalgae has gained in popularity over recent years. Because of its autotrophic nature, it can slightly alleviate atmospheric C02 by using it for photosynthetic processes. Additionally, it has a significantly higher rate of growth than other plants, which also confers higher biomass output. Cell disruption is the central method with which to break through cell wall in general. In this case, it results in access to valuable biodiesel oils. High pressure homogenization has been shown to be one of the most effective cell disruption methods because of both its forceful and effective nature and its cost efficiency. BEE International is globally recognized among laboratory managers and researchers for our high quality homogenizers and excellent customer support. Cell lysis is just one of a variety of applications for BEEI homogenizers; nano/micro emulsions, lipids, suspensions, and dispersions are also easily achievable. Additionally, the homogenizer processes can be controlled to suit your product, which will allow you to customize to your cell type. And finally, the equipment is easy to use, produces higher yield in less time, and achieves results that are reproducible and scalable.